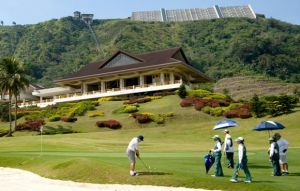 The construction of Sherwood Hills Golf and Country Club started in 1996, when the Jack Nicklaus design team were very active in the Philippines. 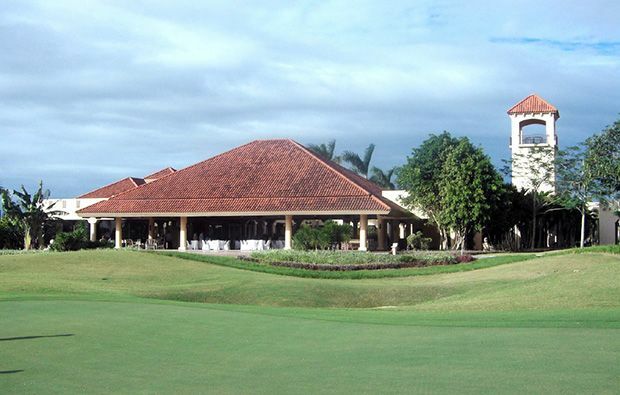 The course was officially opened to members in 1998 and the club house inaugurated in 2000. 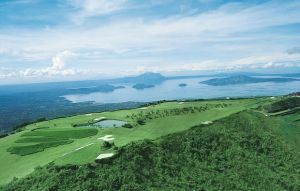 The golf course is an 18 hole, par-72 and stretches 7,277 from the Gold tees. For those who may find that a little lengthy, there are also Red, White and Blue to choose from. 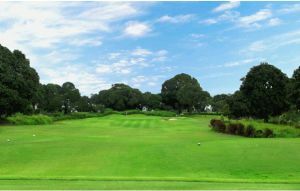 The best way to describe the golf course, is an inland links style course, with hard running fairways and open fronted greens. 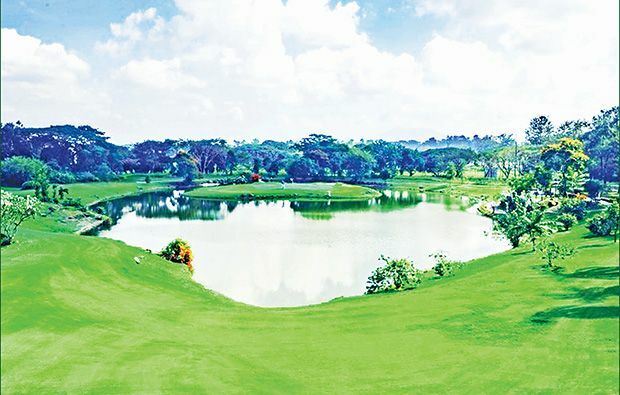 In many respects, Sherwood Hills Golf and Country Club is different to the majority of Nicklaus designed golf courses and makes use of the natural flowing land. 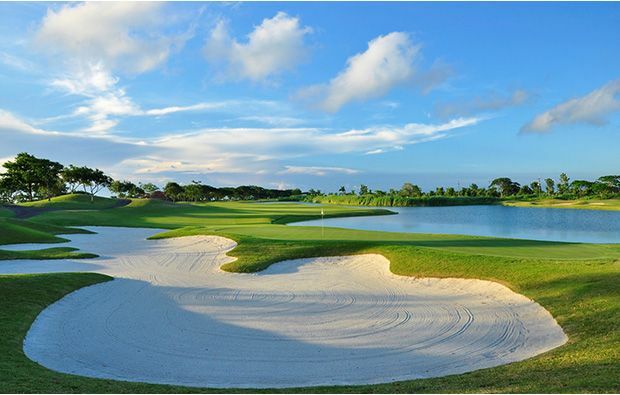 The typical wide open fairways and large greens, protected by huge bunkers, which we expect to see from a Nicklaus course, are not present. The landing areas remain generous but still require good, clean striking of the golf ball. The rough can be punishing and ravines come in to play on many holes, which are filled with vegetation and this makes playing the ball difficult. Although the greens are open fronted, they are quite small and many feature undulations but nothing hugely difficult. The large Rain trees seen around the course, frame the fairways nicely and water hazards drift in to view, making the overall setting very pleasant indeed. The 9th hole is probably the toughest on the course, where are tee shot over water, is followed by an approach shot over a wide stream to the green. 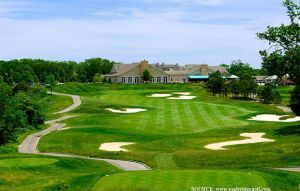 Facilities at Sherwood Hills Golf and Country Club include a club house, pro-shop, restaurant, driving range and putting green. The verandah offers great views of players on the 1st tee and 18th green and there is a fantastic, panoramic view of the golf course from the watch tower, above the club house. 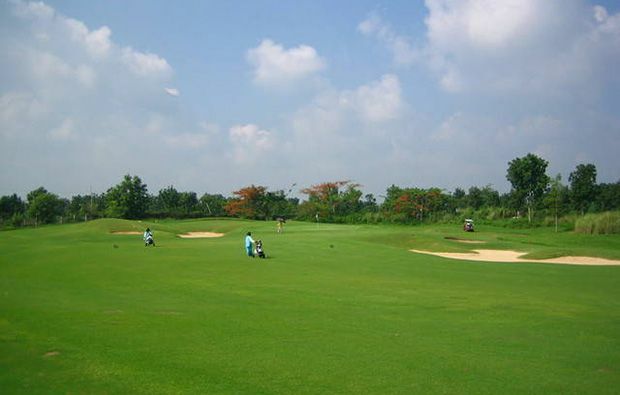 Sherwood Hills Golf and Country Club is a treat for golfers of all levels. The fairways and greens are well maintained but send the ball in to the rough and expect the following shot to be a real challenge. Sherwood Hills Golf Country Club has different Services to offer. Choose a date and number or players to see the rates.